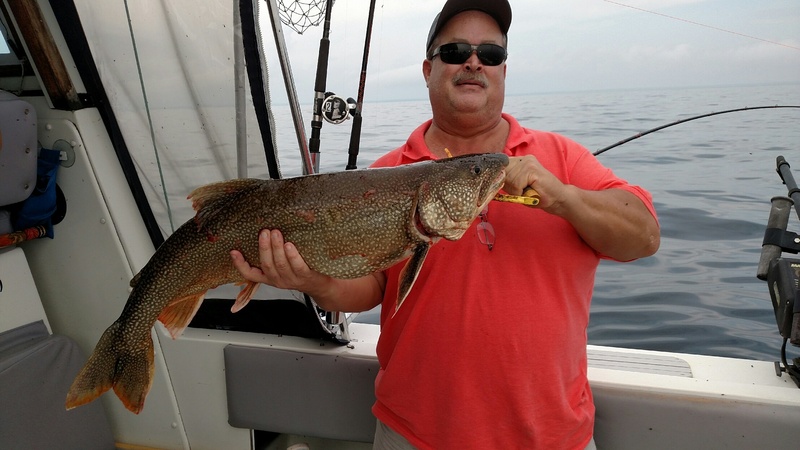 There have been some nice Lake Trout taken out in the 140 to 150 foot of water areas North and straight out from the harbor. Best colors have been green and white, purple, black, and white with pink dot spin and glows behind a dodger run close to the bottom. Spoons off the downriggers have also been working. A few Steelhead are being taken out near the color lines using bright colored spoons off the boards on the 3,5,7,and 10 color lead lines. 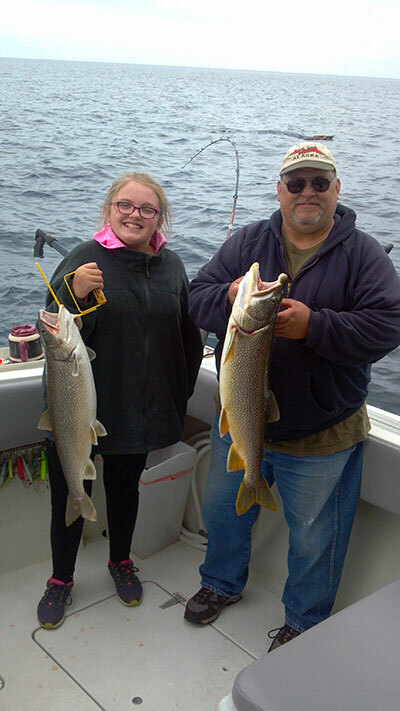 Some Walleye are still being taken in the 25 to 45 foot of water areas North of the harbor, using worm burners, hot and Tots, and thunder sticks. If it slows down, try moving out to some deeper water, there have been a few taken out in 75-120 foot of water as well. Bass continue to be taken in closer to shore casting body baits.